Posted February 15th, 2015 by adminstop . In many parts all over the world, people had got an impression that bed bugs had disappeared and associated the menace with the past. What most us did not know or understand is how bed bugs manifest their presence. These insects can be subtle and extremely difficult to detect especially when infestation is at its initial stages. Those who have borne the full brunt of bed bug infestation have chilling tales of the havoc their full outbreak can cause on a house hold. Besides condemning their host to sleepless nights, Bed bugs can sneak into one’s clothes and crawl out at the most unexpected public place. In such instances victims have either walked off embarrassed or lived through a difficult moment excusing themselves that is the main reason why you need to call bed bug exterminator Toronto. The best remedy is for all to know the early signs of bed bug presence in their house. Thankfully, bed bugs have not been associated with any disease transmission. For anyone with little or no training in pest control, it can be a challenge to identify early signs of bed bug infestation. However, some obvious signs include feacal pallets, Cast nymphal skins, live bed bugs (Nymphs and adults), little blood spots across bed sheets and a pungent sickly insect odor. Examine your skin as well. 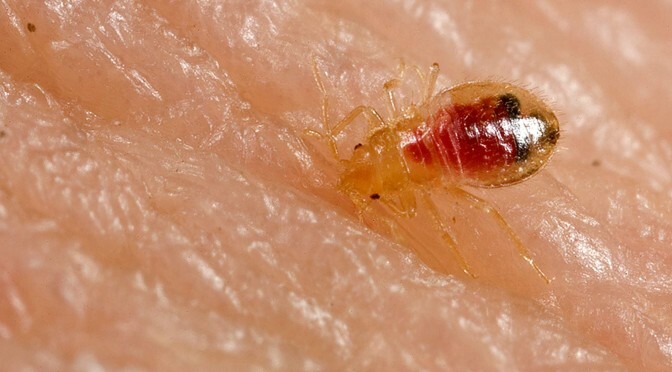 If there are any reddish itchy bites you have reason to suspect a bed bug infestation. Another effective way to detect their presence is by spreading a sticky tape (double sided) on a bare mattress. Bed bugs should get stuck there if at all they exist within your walls. Inspect your couch cushions well as you look out for signs of bed bug waste and dark spots. These are highly nocturnal insects. Go to bed with your torch and flash it at spots that you sense or feel insect movements. After sucking too much blood, bed bugs slow down and become easy prey. If you happen to pick a crawling insect from the sheets, stick to it until you inspect it under light. Alternatively, you can crash it between your fingers and pass your fingers across your nose. A pungent coriander smell must tell you that your room is bedbug infested.